For generations, migrants have emigrated from Senegal, particularly from in and around the Senegal River Valley along the country’s borders with Mauritania and Mali. Young people from the Peul (particularly its Toucouleur subgroup) and Soninké ethnic groups first left to pursue economic opportunities around West Africa and Central Africa. Later, migration to France became a popular method for supporting families and improving social status in origin communities, and migrants today contribute a substantial amount in social and financial capital to development in Senegal. Remittances are essential to livelihoods, making up almost 14 percent of the country's gross domestic product (GDP) in 2017—the fifth-highest share in Africa. Widespread Senegalese migration to France first began with temporary workers. As their stays became more permanent, they brought their families to live with them, typically in communities on the outskirts of Paris and other major cities. Once settled in their new communities, they established hometown associations (HTAs), largely to support development back in Senegal. Increasing barriers to free movement for current and former French colonial subjects that began in the 1970s—and further restrictions on migration more recently—have made life for West African migrants and would-be migrants more difficult. As a result, migrants and their HTAs have been forced to adapt. Meanwhile, in the face of shrinking income flows, some HTAs have begun to professionalize their operations and work more strategically, moving beyond construction projects to ones that seek to foster economic development. This article, based on the author’s Fulbright-funded research in Senegal in 2016-17, explores the impact of policy changes in France on Senegalese migrants and the activities of HTAs, and how these shifts influence development and quality of life in migrants' origin communities in the Senegal River Valley. As the European Union incorporates support for development into migration partnerships with African countries, in hopes of reducing spontaneous migration to Europe, the work of HTAs holds important lessons for actors on both sides. France, which colonized large swaths of West Africa starting in the late 1800s, first became a destination for economic migrants from modern-day Senegal during and after the colonial period. For example, West Africans fought for France in both world wars and many remained in France afterwards. After World War II, France recruited migrants from its colonial empire to reconstruct the country and work in its factories. These pull factors, coupled with droughts in the Sahel region during the 1970s and 1980s, accelerated the number of young, low-skilled West Africans migrating to France during the mid- and late 20th century. As of mid-2017, about 120,000 Senegalese lived in France, according to United Nations estimates. France is the top destination for Senegalese migrants after The Gambia, and it is also the top origin for formal remittances arriving in Senegal. Economically motivated migration became an important source of income in rural eastern Senegal, with France frequently seen as the ideal destination. Even though migrants in Europe often worked in factories, construction, security, or sanitation, their salaries were substantial compared to those of family members back in Senegal, who generally worked as subsistence farmers or animal herders. As result of remittances, families were able to construct larger, more durable homes, afford healthier diets, and increase their consumption of other goods, particularly electronics such as cellphones, refrigerators, fans, and televisions. In addition, from the 1960s onward, Senegalese migrants in France began to form HTAs to support their origin communities. HTAs are formal or informal organizations of migrants from the same town, region, or ethnic group living outside their region or country of origin. These organizations sponsor cultural activities in destination communities, foster solidarity among migrants, and/or finance development projects in hometowns. HTA leadership or traditional authorities in the origin community then manage these funds and related projects on the ground. While migrants from many countries form HTAs, West Africans maintain particularly close social, political, and financial ties with their hometowns through these organizations. For West African migrants, social pressures compel HTA participation and members are also traditionally required to pay dues toward a communal fund. Once enough money has been amassed, the organization funds a public goods project in the hometown, such as the construction of a school, mosque, cemetery, health center, post office, or water system. These migrant-led development projects have been crucial to communities across the Senegal River Valley, which are often far from urban centers, markets, or infrastructure such as paved roads, and rarely receive contact from the central government or assistance from local government actors. As a result, migrant projects often fill the void by providing most of the public goods enjoyed by these communities. Senegalese HTAs thus contribute immensely to human development and quality of life in communities in this region. The impact of this work, as well as of household-level support provided by remittances, continued motivating young people to leave eastern Senegal for France, as well as regional destinations, during the mid-20th century. The author’s research project, funded by a Fulbright grant, involved fieldwork conducted from January through May 2017 in four primary village sites in the eastern Senegal regions of Tambacounda and Matam. The author conducted 102 semi-structured interviews with 17 local authorities, 51 development actors, and members of 22 migrant and 12 nonmigrant households to understand community perceptions of shifts in migration and development. The data were then analyzed using content analysis of interview transcriptions. The author worked with the Department of Geography at the Université Cheikh Anta Diop de Dakar (UCAD) for this project. Beginning in the early 1980s, France began to enact a series of restrictive policies limiting low-skilled economic immigration and creating barriers to naturalization and family reunification. These changes have continued in recent decades, raising questions about the future of the migration and development cycle now cemented in the Senegal River Valley. Prior to the mid-1970s, Senegalese migrants freely circulated into and out of France as current, and eventually former, colonial subjects, following independence in 1960. France first introduced limits to Senegalese immigration in 1974 with a law requiring residence permits for all migrant workers. Throughout the 1980s and early 1990s, a series of laws including the Bonnet and Pasqua Laws restricted entry, family reunification, and naturalization for many immigrants. Although some of these provisions were later abolished, they led to several high-profile deportation operations targeting West Africans and laid the groundwork for future restrictive French immigration legislation. Several bilateral accords between France and Senegal over the years also focused on limiting economic migration and facilitating return for irregular migrants already in France. The evolution of these policies reflects a shift from promoting low-skilled economic immigration to satisfy labor shortages, to emphasizing high-skilled and temporary immigrants such as students. During the author’s fieldwork, interviewees cited many of these policies as having substantial effects on migration and development in their communities. The 1990s, the turn of the 21st century, and the presidency of Nicolas Sarkozy were the most common turning points identified when migration and development in eastern Senegal first began to shift (see Table 1). Participants emphasized the introduction of French visas and residence permits for Senegalese immigrants as the first major barriers to migration. Subsequent important political moments for participants included deportation operations in the 1980s and then-Interior Minister Sarkozy's famous 2005 speech on immigration choisie, the government's policy of carefully selecting immigrants who would best integrate and contribute to the French economy and society. Sources: Author interviews with participants; La Direction de l'Information Légale et Administrative, la République Française, “Chronologie: Histoire de l'Immigration en Dates,” updated April 12, 2016, available online. At the same time, external political changes were not the only factors influencing these phenomena in the Senegal River Valley. Many participants also cited social and economic events in France as having negative consequences for Senegalese migrants and their development activities. The global economic crisis beginning in 2008 led to the disappearance of employment opportunities, including across Europe. This downturn thus decreased incomes and the ability of migrants to send money back to families and contribute to HTA projects. Participants reported that the mechanization of automobile production and other manufacturing, a source of employment for many West Africans for decades, compounded these effects. In cities such as Paris, with tight and expensive housing markets, these economic conditions created additional challenges to saving money. Individuals in eastern Senegal had traditionally seen France as a promised land offering easy income and employment opportunities to anyone who made the journey, regardless of French skills or education level. However, this view changed for many as challenges became more frequent. Beyond economic changes, shifts in attitudes within French society also affected the Senegalese diaspora. Participants noted an increase in Islamophobia and a growing climate of mistrust and intolerance toward migrants in recent years, which have only exacerbated difficulties for West Africans in France. Further, political and economic changes in Senegal also affected diaspora-led projects and migration patterns in the region. The administration of President Macky Sall, who took office in 2012, has decentralized development and other administrative responsibilities, delegating them to regional and local authorities. In addition, Sall's national development scheme, Plan Sénégal Émergent (PSE), aims to provide alternatives to irregular migration from a country with high youth unemployment and a legacy of emigration. Participants cited these domestic shifts as significant, although many agreed it was too early to judge their influence on the quality of life in their communities. Study participants said they view these international and domestic political, economic, and social shifts as affecting migration flows and development efforts in their communities. Though views on whether emigration is rising or falling varied, many participants agreed that irregular migration was on the rise. Further, most participants predicted continued interest in migration among young people absent alternative employment options in the Senegal River Valley. Whether because of limits on authorized entry into France, difficulties upon arrival, or other motivations, migrants from eastern Senegal have diversified their destinations in recent years. Some migrants have eschewed traditional receiving countries throughout West and Central Africa or France in favor of destinations such as Italy, Spain, the United States, and even several South American countries including Argentina and Brazil. Limits on economic migration to France and elsewhere in Europe also impacted migrant-led development in Senegalese municipalities. Interviewees held diverse opinions on whether HTA activities were as frequent or as effective as they had been several years or even decades ago. Some said they observed consistent support for community-wide projects and noted innovative strategies used to combat potential lack of purchasing power or access to funding. However, many study participants who indicated a decrease in HTA support for their villages said they believed that migrants contributed less frequently to community-level projects, instead prioritizing maintaining household remittance levels. When asked about specific migrant-funded development activities, many cited completed and ongoing public goods initiatives led by their village's HTA. When HTAs in this region began their work in the mid-20th century, mosques and water systems were frequent initial projects, with water access evolving from simple manual wells to electric- or solar-powered deep-drill wells connected to taps throughout the municipality. Today, many basic needs have been fulfilled thanks to years of HTA support, and some migrants have more recently turned to renovating and expanding these structures. Some HTAs have stagnated in recent years, while others have moved beyond a public goods focus to new innovative strategies of promoting development in their hometowns. Many interviewees cited a need for income- and job-generating projects to promote local economic growth and incentivize young people to remain in their home communities. Several HTAs in the author’s study sites piloted this type of project, including the construction of a bakery in one community and a carpentry training center in another. The bakery, built in early 2017 thanks to funds from migrants in France and their French donors, promised to provide the town with affordable, high-quality bread and employment for several people. Meanwhile, the carpentry center offered young men the opportunity to train with experienced carpenters on machines provided by a French donor. This model not only provided professional skills to young people, but also produced locally built furniture for the surrounding community to purchase. Within migrant households, participants noted that remittances continued to support consumption and home construction. Beyond the purchase of food, electronics, and health care, remittances also defrayed children’s educational costs, including school supplies and fees. Household members, particularly migrants' wives, perceived both positive and negative impacts of migration on household-level development. On the one hand, remittances finance the purchase of tools and animals, the construction of irrigation infrastructure, or the hiring of employees to expand the scale of the household's work and thus its earnings. However, the loss of the migrant's labor to tend to animals or fields also hurts households without enough adolescents, adult children, or other family members to maintain these activities. Nonmigrant households had their own ideas about changes in migrant-led development. Though they did not receive remittances, individuals in these households largely perceived that community-wide development activities benefited them, as public structures built with HTAs’ support were accessible to everyone. However, despite receiving occasional financial gifts from migrant neighbors or friends, some nonmigrant households expressed feeling dissatisfied with or excluded from development happening around them. Certain HTAs and individual migrants have been able to overcome challenges due to decreased income or barriers to authorized employment in France and other host countries. Individuals in origin communities perceived strategies modifying HTA structures, funding sources, and project types as most effective in continuing development efforts. One particularly effective change was the professionalization of these organizations. HTAs that moved from traditional leadership hierarchies and divisions of labor to more formal, structured ones were better able to form financial and logistical partnerships and expand the scope of their projects. Associations with clearly defined goals, leadership, project plans, and project evaluation were able to attract the cooperation of French government entities such as the Program to Support Solidarity Initiatives for Development (PAISD for its French acronym) or other international donors. Thus, despite a potential decrease in income from individuals, many HTAs began supplementing member dues with larger funding sources. Formalized structures also promoted better project management, evaluation, and long-term sustainability. Another key HTA adaptation was the idea of becoming community or village associations, as opposed to migrant associations. The frequent use of the term association de migrants can have a top-down connotation, implying that the diaspora unilaterally provides ideas, support, and manpower for development efforts without important input about living conditions from communities in Senegal. For HTAs that started conceptualizing themselves as a unified development organization with a branch abroad and a branch in Senegal, this strategy seemed to improve communication and promote inclusion, thus responding better to current needs and giving the local community more of a stake in projects. A gradual trend toward more investment- and training-focused projects has also seen success. The basic human development needs of many communities have been satisfied after decades of hard work; still, conditions are not sufficient to keep the next generation from leaving. While the bakery and the carpentry center are key examples of productive initiatives, more support and focus on this type of project could bring meaningful change to local economies and markets. Many local organizations and collectives are already doing quality work in agriculture, herding, or transportation, and increased funding from HTAs could greatly expand the scale of their existing activities. 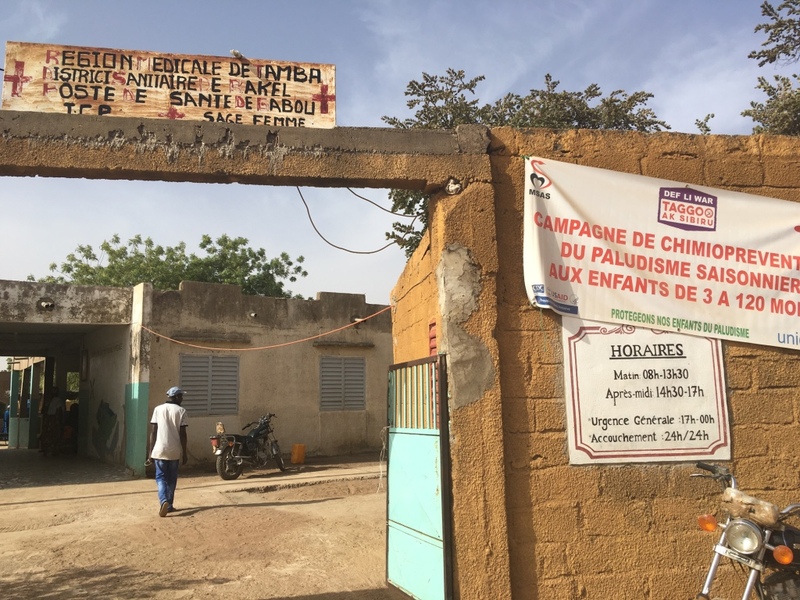 Meanwhile, women’s associations in rural Senegal do not always receive HTA support, representing a potential area for expansion. West African HTAs are traditionally dominated by men, with male leadership at origin and abroad. In Senegal, economic activity is frequently divided by gender and women run many of their own associations, often focused on agriculture or microsavings. However, these structures do not receive much or any support from female migrants in France, who are less likely to be in the labor force than male Senegalese and thus might not be able to send money back to Senegal. Given these conditions, many well-organized and highly motivated women's agricultural collectives would greatly benefit from increased migrant support. Finally, the federalization of community-level HTAs into larger regional organizations is an increasingly common strategy. This approach allows migrants to pool their resources and knowledge to tackle larger-scale development questions, despite economic or administrative challenges they may individually face in their host communities. Understanding the complex relationship among emigration, HTA development activities, and political, economic, and social changes in both France and at home is essential to the future of development in eastern Senegal. This study suggests that while HTA activities may be affected by political shifts domestically and abroad, economic changes on the sending and receiving sides are equally important and may be felt more immediately by the population at origin. Senegalese HTAs can no longer depend on traditional fundraising and project management strategies. These organizations must adapt to current and emerging economic and political conditions hindering legal employment and income accumulation among migrants in France and across Europe. Inclusive project planning that considers the needs and perspectives of the local population, as well as openness to productive investments and collaboration with outside partners are key steps to sustaining the work of HTAs. Current European efforts such as the European Union Emergency Trust Fund for Africa (EUTF) are incorporating development support into partnerships with countries including Senegal to try to stem migration. While the efficacy of migrant-driven projects and even state-led development activities in preventing emigration remains to be seen—particularly given the social pressures and cycle of dependence at play in this region—harnessing the power, expertise, and motivation of the diaspora is essential for the interests of actors on both continents. EU projects and dialogues that do not include African diasporas and their HTAs may not adequately address the phenomena occurring in regions such as rural Senegal. Building on migrant-led development work is a crucial step in changing conditions that contribute to emigration from this region. Author interviews with study participants in Yaféra, Gabou, Ndouloumadji Dembé, and Doumga Rindiao, Senegal, January 2017-May 2017. Azam, Jean-Paul and Flore Gubert. 2006. Migrants’ Remittances and the Household in Africa: A Review of Evidence. Journal of African Economies 15 (suppl 2): 426-62. Bollard, Albert, David McKenzie, and Melanie Morten. 2010. The Remitting Patterns of African Migrants in the OECD. Journal of African Economies 19 (5): 605-34. Bredeloup, Sylvie and Cheikh Oumar Ba. 1994. Dynamiques Migratoires et Dynamiques Associatives. Hommes et Terres du Nord 1994 (4): 179-88. Chauvet, Albert, Flore Gubert, Marion Mercier, and Sandrine Mesplé-Somps. 2014. Migrants’ Hometown Associations and Local Development in Mali. The Scandanavian Journal of Economics 117 (2): 686-722. Datta, Kavita. 2009. Transforming South-North Relations? International Migration and Development. Geography Compass 3 (1): 108-34. Daum, Christophe. 1998. Les Associations de Maliens en France: Migration, Développement, et Citoyenneté. Paris: Karthala. Dia, Hamidou. 2007. Les Investissements des Migrants dans la Vallée du Fleuve Sénégal: Confiance et Conflits d’Intérêts. Revue Européenne des Migrations Internationales 23 (3): 29-49. ---. 2010. Les Villages “Multi-Situés” Sénégalais Face à la Nouvelle Configuration Migratoire Mondiale. Hommes et Migrations 1286-1287: 234-44. Diarra, Hamédy. 1998. Associations d'Immigrés et Développement: le Point sur Deux Décennies d'Intervention. Hommes et Migrations 1214: 74-84. Dieng, Seydi Ababacar. 2002. Pratiques et Logiques de l'Épargne Collective Chez les Migrants Maliens et Sénégalais en France. Afrique et Développement 17 (1-2): 144-74. Direction de l'Information Légale et Administrative, la République Française. 2016. Chronologie: Histoire de l'Immigration en Dates. Updated April 12, 2016. Available online. Diop, Momar Coumba. 2008. Le Sénégal des Migrations: Mobilités, Identités et Sociétés. Paris: Karthala. Gonin, Patrick. 2005. Jeux d’Acteurs et Enjeux Territoriaux: Quelles Migrations pour quel Développement? In Emigrés: Immigrés dans le Développement Local, eds. Mohamed Charef and Patrick Gonin. Paris: Éditions Actes Sud. GRDR. 2014. L'Atlas de la Moyenne Vallée du Fleuve Sénégal. Paris: GRDR. Available online. GRDR and l'Institut Fondamental de l'Afrique Noire (IFAN). 2014. La Dimension Locale de la Dialectique Migration - Développement: Le Cas France – Sénégal, Monographie Vallée du Fleuve Sénégal. Dakar, Senegal: GRDR. Available online. Quiminal, Catherine. 1991. Gens d'Ici, Gens d'Ailleurs: Migrations Soninké et Transformations Villageoises. Paris: Éditions Christian Bourgois. Ratha, Dilip. 2013. The Impact of Remittances on Economic Growth and Poverty Reduction. Washington, DC: Migration Policy Institute. Available online. Timéra, Mahamet. 1996. Les Soninké en France: D'Une Histoire à l'Autre. Paris: Karthala. United Nations Department of Economic and Social Affairs. 2017. Trends in International Migrant Stock: Migrants by Destination and Origin. United Nations database, POP/DB/MIG/Stock/Rev.2017. Available online. World Bank. N.d. Personal Remittances, Received (% of GDP). Accessed August 14, 2018. Available online. Colleen Moser was a 2016-17 Fulbright student research fellow in Senegal. She is a master’s student in development studies at the Graduate Institute of International and Development Studies in Geneva, focusing on migration and conflict studies. She was previously an intern with the Migration Policy Institute’s International Program.